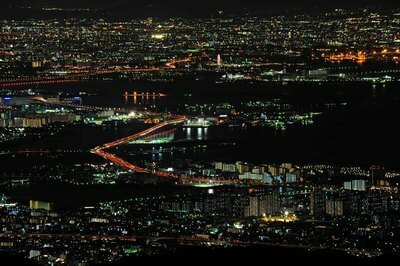 Kobe is a large city with a million and half people just south of Osaka (approximately 30 km) and for its location and its history is very similar to Yokohama. 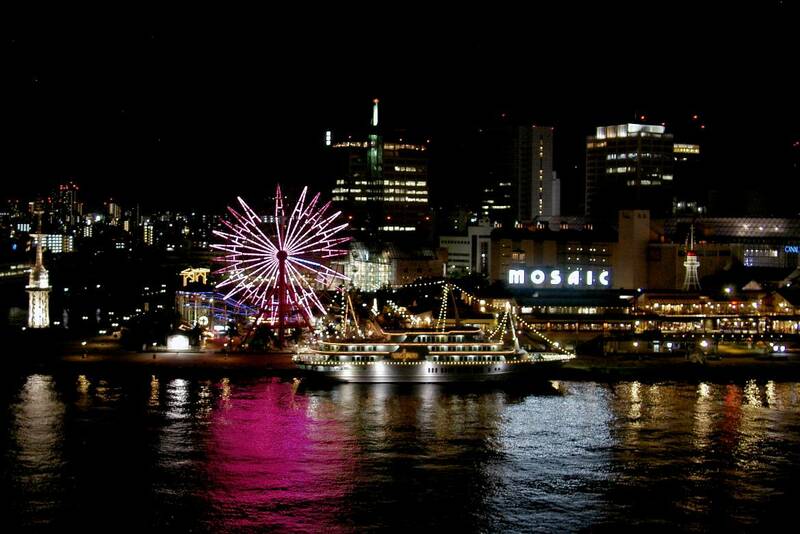 Just as Yokohama it was in fact one of the five designated cities in 1858 to open its harbour to foreign trade, while the rest of the country remained isolated. Today, Kobe is a modern port city, partly rebuilt after the devastating earthquake of 1995 (see Great Hanshin earthquake), whose most interesting neighborhoods are the old districts of the foreigners (Chinatown and Kitano, ancient district of western merchants), but also the modern waterfront full of various attractions for fun and shopping. 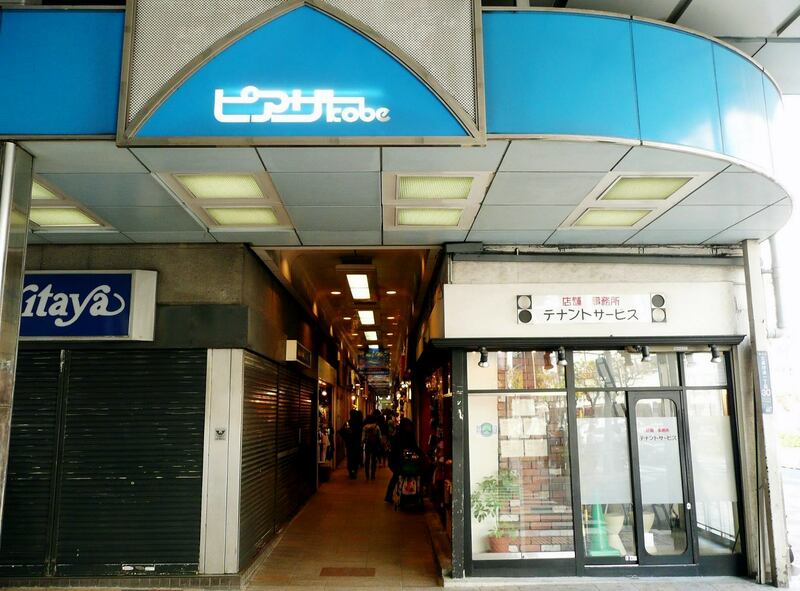 Between Sannomiya, Motomachi and Kobe station, three consecutive stations along the JR Kobe Line, there is the most popular area of the city where there are the two most famous shopping complexes, Meriken Park and Harborland. From Sannomiya station to near Kobe station, under the railway tracks which run elevated, there is a long, narrow and very quaint shopping arcade (called firstly Piazza Kobe, and then Motoko Town) selling everything cheaply. It is located about 500 meters far from Minato Motomachi Station (Kaigan Line of the Kobe Municipal subway), the nearest JR stations are Motomachi and Hanakuma approximately 1 km away. Una torre "simbolo" della città, built in 1963 and 108 meters high. On top of the tower there is an observation deck on three floors, one of which also houses a cafe. One of the largest maritime museums in the world, it is located within the striking building on whose roof there is a large metal construction depicting a ship sailing in the waves. The museum is divided into two floors, the first is dedicated to the port of Kobe and modern boats (both Japanese and foreign), the second floor is dedicated to the history of the port and maritime trade in general in Japan.Outside there are several other vessels, including the Yamato 1, and also some historical ones. This museum is located in the building of the Maritime Museum and is owned by the famous Kawasaki. Inside are exposed many examples built by the company, and there aren't only motorcycles as someone might think, but also some aircrafts, trains and more. 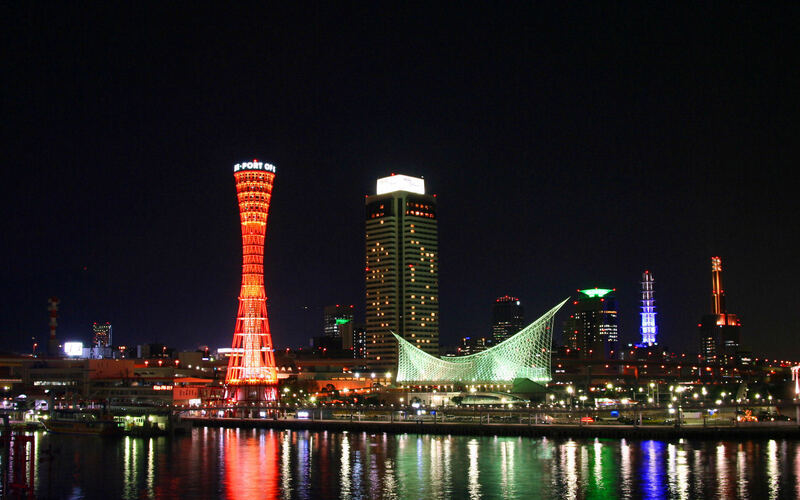 A former port cargo area, redeveloped and opened in 1992, today is a modern place where you can walk in front of the sea admiring the lights of the city, with an excellent view of Meriken Park and the Kobe Port Tower. The complex includes two large shopping centers, Mosaic and Canal Garden, within which there is also a subsidiary of Hankyu department stores and Sofmap (chain of electronics stores). The nearest stations are Kobe station (JR Kobe line) and Harborland station (Kaigan Line of the Kobe Municipal subway). A museum opened in 1982 inside a neoclassical western-architecture building, built in 1935. 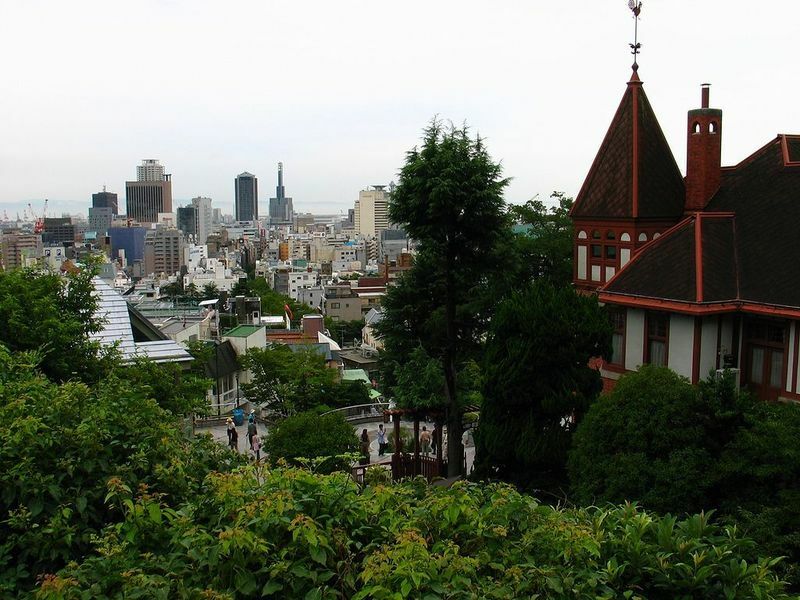 It houses a collection of ancient archaeological finds and a section devoted to the history of Japan in its relationship with the rest of the world. 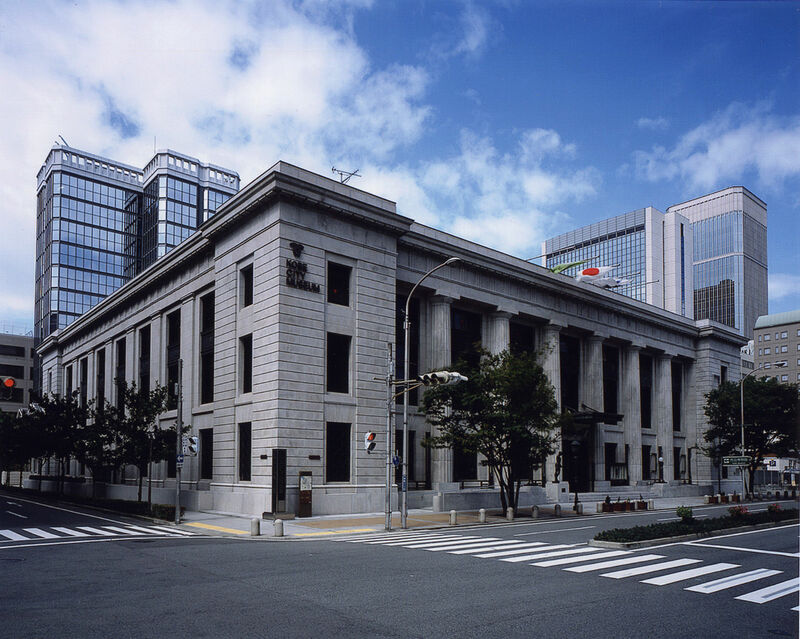 Inside there is one of the largest collections of the world of Namban Art, a Japanese art of the sixteenth century, influenced by contacts with foreign traders and missionaries who began to arrive in the country at that time. At this link the official brochure of the museum (in English). The museum is located about 700 meters from Motomachi station (JR Kobe line) and 400 meters from Kyūkyoryūchi-Daimarumae Station (Kaigan Line of the Kobe Municipal subway). 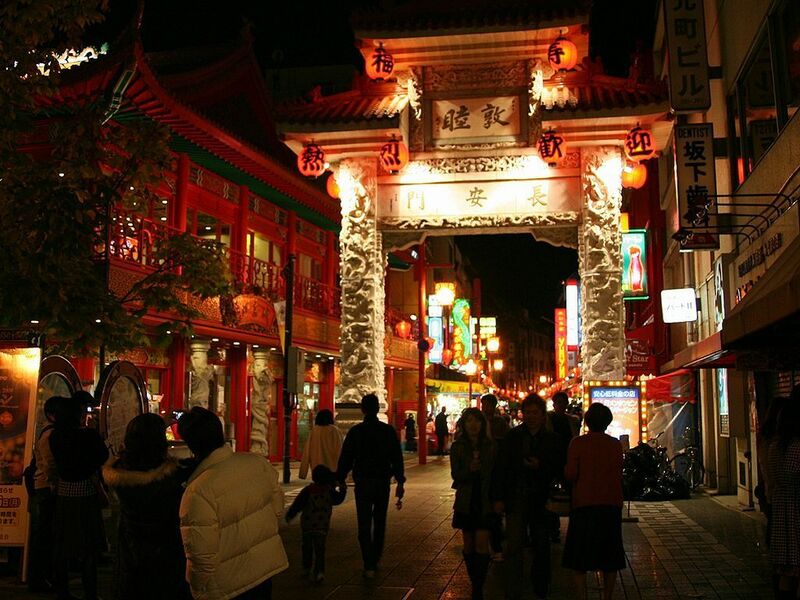 When in 1868 the port of Kobe was opened to international trade (along with Yokohama, Nagasaki and Hakodate) many foreigners began to arrive in town, most of whom were Chinese who settled in an area later called Nankinmachi (Nankin is the japanese name of the chinese city Nanjing), which is still the second largest chinatownin Japan after the chinatown of Yokohama. As all the world's Chinatown, the neighborhood is also a tourist area, where to go for shopping and eating at one of the many restaurants serving Chinese, frequently a bit "japanized". You can reach this area on foot from the Meriken park. The nearest station is Motomachi station, the next stop after Kobe station along JR Kobe line and served also by the Hanshin Main Line. Kitano is the old neighborhood where the merchants from the West had settled, since 1859 when the city's port was opened to international trade. 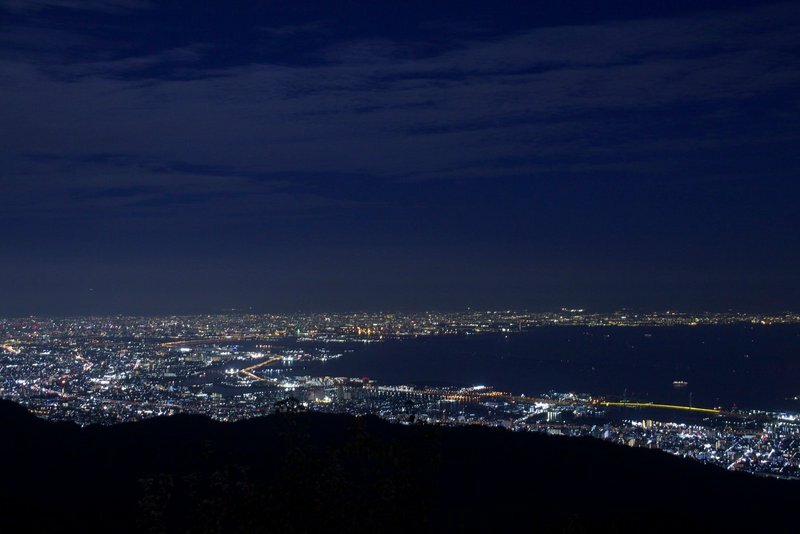 It is located on a hill at the foot of Mount Rokko from where you can enjoy a good view of the rest of the city, the nearest stations are Sannomiya station in the south and Shin-Kobe station in the east, both about 1 km away from the heart of the neighborhood. This neighborhood has very little interesting, except for the numerous examples of Western architecture that can be found through its streets and that have not been destroyed by bombing in World War II, precisely because the neighborhood was spared. Built in 1907, the first floor remained decorated with antique furniture and ornaments of the period. The second floor is instead dedicated to Sherlock Holmes. Also called Yokan Nagaya, it hosts inside a art-nouveau style furniture, with some antiques signed Tiffany, Louis Vuitton, and some special works of art such as glass artwork by Emille Galle and the Daum brothers, ceramics from the French city of Limoges and paintings of Japanese-French painter Leonard Tsugouharu Foujita. Also called Platon Decorative Arts Museum, within it hosts objects (furniture, paintings, sculptures) of 18° and 19° century of Italian origin. Outside there is also a café serving snacks of Italian cuisine. A reproduction of the Mozart house in Salzburg. Within a few exhibitions and a café. The only building in the area having to do with Latin America. Inside is also a small exhibit about Mayan civilization. Built in 1909 as the residence of the German trader G.Thomas, gets its name from the wind vane on the roof. Built in 1902, it was the home of the English traveler and hunter Ben Allison, in which are displayed various animals hunted and embalmed, including a tiger and a polar bear. The exterior is covered with slate slabs that look fish scales, in fact, "uroko" in Japanese means just that. Inside there are exhibits from various European countries. 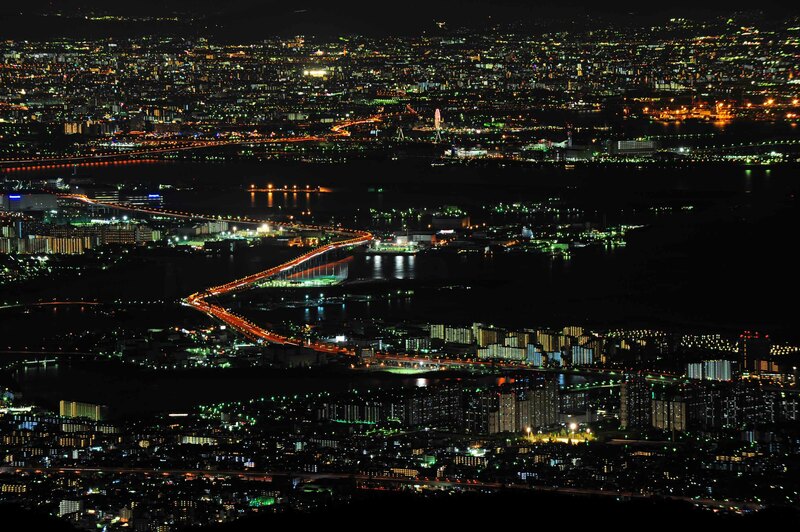 From the third floor of the house (150 meters above sea level) you can enjoy a good view over the city of Kobe. 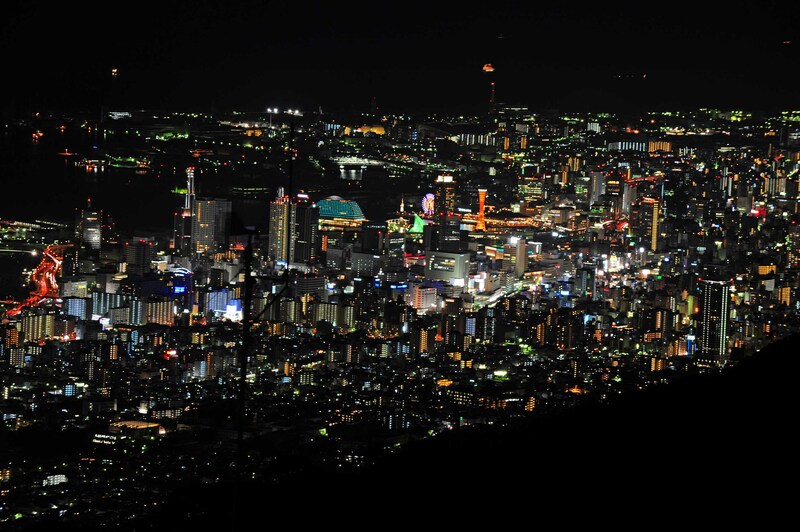 Mount Rokko (Rokko-san) is the highest peak among the mountains of the area (although not very high, 931 meters) and it is an excellent observation point from where you can enjoy a spectacular view over the city of Kobe and if there is good visibility, even of Osaka. It takes about half an hour to reach this place from the city of Kobe. Firstly you have to reach Rokko station taking the Hankyu Kobe Line, and from there take the bus n.16, that in about 10 minutes (200 YEN) takes you to the base of the cable car up the mountain. 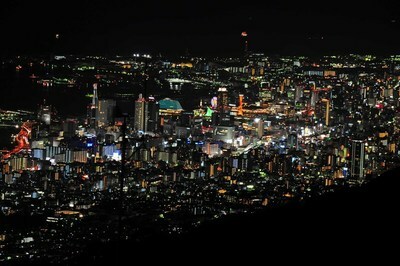 The cable car ride takes 10 minutes and costs 570 YEN one-way, 1000 YEN round trip. 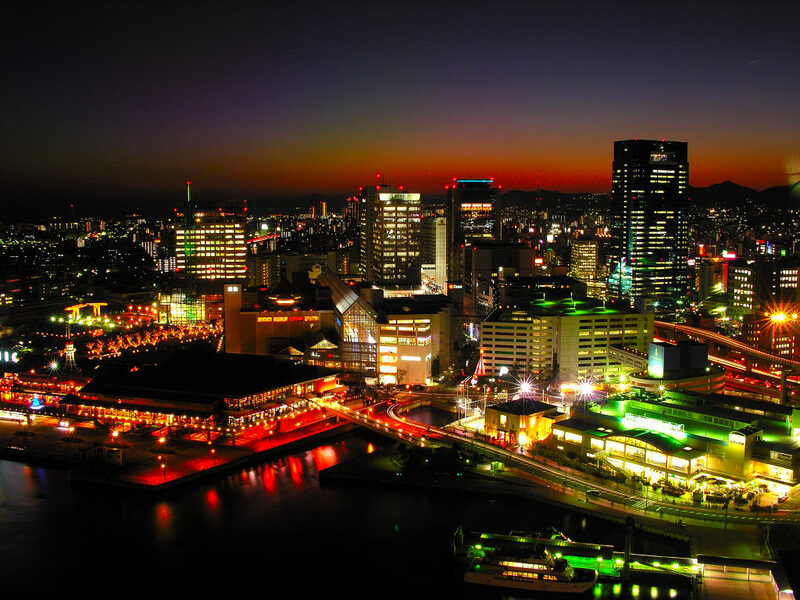 Visit this page If you are looking for a hotel to stay in Kobe. 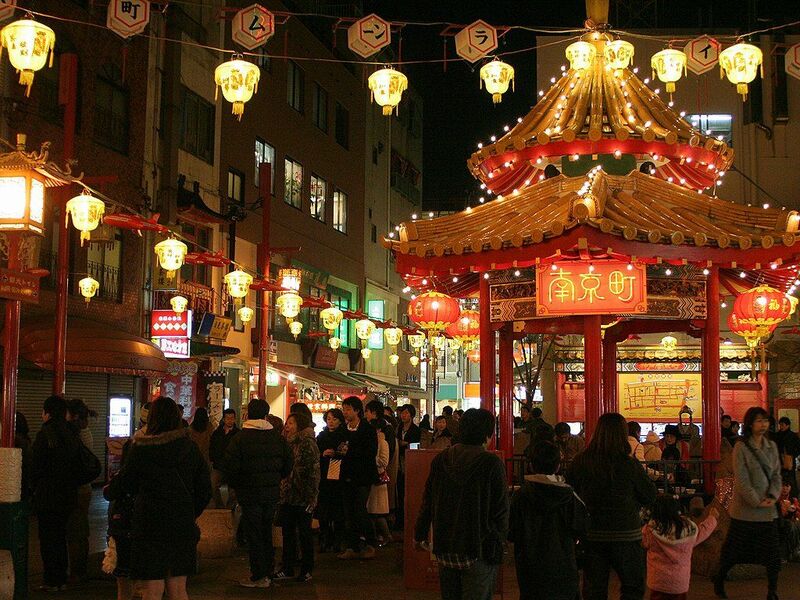 The main station of the city is Sannomiya station, close both to the waterfront and the ancient neighborhoods of Chinatown and Kitano. Other useful stations are Kobe station near Harborland (see the waterfront guide) and Motomachi station near Chinatown. The reference station for the shinkansen (Sanyo shinkansen) is instead Shin-Kobe station in the north of the city. 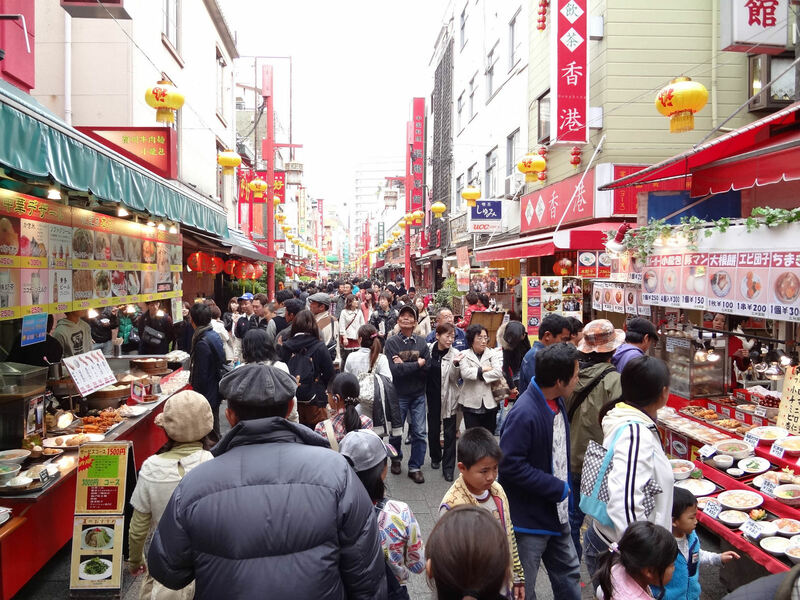 Usually you visit Kobe during your stay in Osaka or Kyoto. -JR Kobe line: the fastest options of all are the "Special Rapid Service" trains of this line, that from Osaka station reach Sannomiya station (390 YEN, 20 minutes), then continuing to Kobe station (390 YEN, 25 minutes). -Hankyu Kōbe Main line: this private line leaves from Umeda station and reaches Sannomiya station in 27 minutes for 310 YEN (cheapest option by far). The travel time refers to "limited express" trains, but there are also other slower types of train. Actually there are other options as well, like the very expensive Sanyo shinkansen between Shin-Osaka Station and Shin-Kobe station, or the Hanshin Main Line from Osaka Umeda to Sannomiya station, but however it is slower than the JR and Hankyu railways lines, which remain the best options to be considered. -JR Tokaido Main line: the fastest options of all are the "Special Rapid Service" trains to Osaka, which then continue in the direction of Kobe (no need to change trains). You can reach Sannomiya station in about 45 minutes and the one way journey costs 1050 YEN. -Hankyu Kyoto Main line + Kobe Mmain line: from Karasuma station in Kyoto you can firstly take the Kyoto line, then get off at Juso station and there change to the Kobe line that will take you to Sannomiya station in about 60 minutes and it costs 600 YEN. This is the cheapest alternative from Kyoto to Kobe.